Do you find yourself not smiling because you’re missing a tooth? Or maybe several teeth? We can help – we are your destination for Hamilton dental implants. 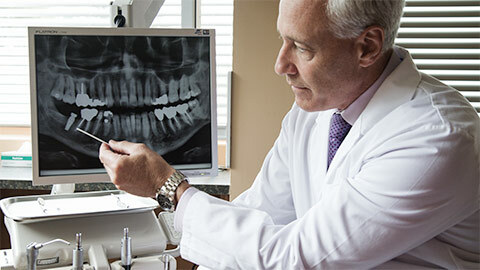 Dental implants replace lost teeth. When a tooth is gone, the teeth around it may shift into the now open space. 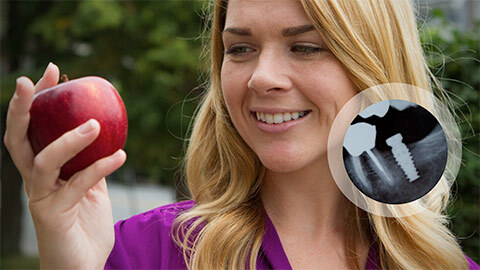 This can change your bite and affect chewing and speaking. Getting a dental implant involves placing a titanium fixture or “root” into the bone. We then create a crown to fit that exact space. We attach it as a replacement tooth (or teeth) to that root. Implants are superior to bridges because they don’t compromise the adjacent teeth. 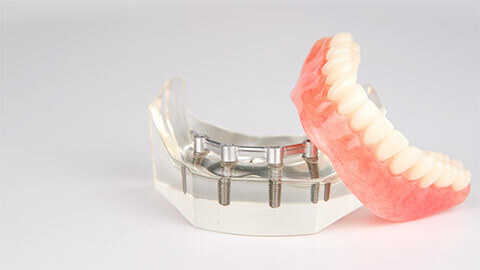 Dental implants can also be a great solution for dentures that are old or don’t fit properly. Dental implants stabilize old dentures by attaching them to four anchor implants. The dental implants are then strong and permanent, and they look and act like natural teeth in your mouth. This helps you to maintain a correct bite and chewing pattern. If you need more information about Dental Implants in Hamilton, contact us today.